Hey, did you know that OmniDazzle is based on the unique capabilities provided by Apple's Core Image framework and showcases the power of the OpenGL based windowing system in Mac OS X? The final release is up now: OmniDazzle One-Point-Ohhh Yeah. From beta to final release in 14 days – boy, I'm pretty sure this is a first for us at The Omni Group. I know every single caffeinated beverage has been plundered from the snack room and there's more than one person walking around in that I-haven't-slept-in-days fog (look, I'm not pointing fingers, but guys? The tag on your shirt goes on the inside), so believe me when I say it hasn't been easy. If you're just joining us, welcome! Pardon the cat hair. OmniDazzle is a set of fun and useful enhancements that help you highlight certain areas of your screen, create special effects, and track the location of your mouse pointer. It is most certainly not just a cursor locator, as has been explained to me repeatedly and maybe with some spirited hand gestures. OmniDazzle helps you incorporate graphical cues as a presentation tool, capture great screenshots, point out information on your desktop, and make your computer an object of envy by producing impressive onscreen effects. Or, as some people here are referring to OmniDazzle, it's utilitainment. We've received some positive feedback from some of you on the Focal Point plug-in, which functions by bordering the active UI element on the screen and dimming the background. As Bill mentioned here a couple posts back, it's great for staying focused on a particular task when you're working by yourself – or, if you're doing a presentation, directing attention to specific elements. 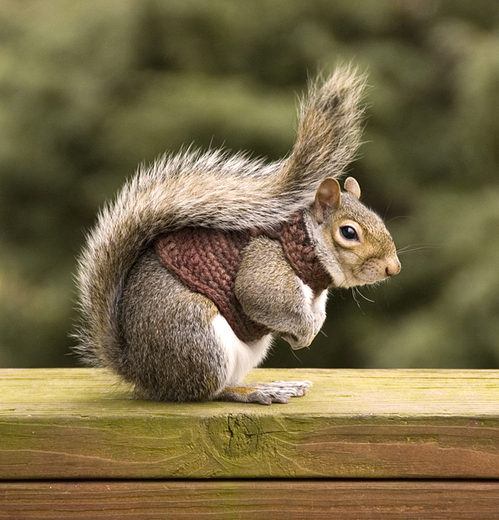 People also like the Zoom plug-in, which works nicely for magnifying interesting sections of your screen (like for instance this fantastic squirrel's sweater). You should also check out the Scribble plug-in, especially if you do slideshow presentations. Being able to draw all over your screen is handy, you can circle things and draw arrows and write notes and so on. I particularly recommend doodling a little robot on top of your Keynote slide while you're talking about something that has nothing at all to do with robots. If by some bizarre chance you don't find the plug-ins themselves to be fun or useful, just looking at the app while it's active is pretty cool in my opinion. You've got the smoooooth animations, anti-aliased rendering awesomeness, and slick reflections in the plug-in previews. It's eye candy, but not the empty calorie kind, the sports–energy kind with an inexplicable protein source! Jeez. I mean, it's utilitainment. And it's available for a very reasonable $14.95. Please note that while we're working to resolve any remaining hardware incompatibility issues, you'll need a fairly modern video card to run OmniDazzle. Check here for more information on that. Okay, this post has definitely exceeded the Unwritten Yet Generally Agreed-Upon Blog Word Count Limit, so…the end! Go play with OmniDazzle now! And thank you, as always, for coming by.